A private 4-storey retreat condominium adjacent to Laguna National Golf and Country Club, it offers unobstructed views of the greenery and wide jogging track by the riverside. 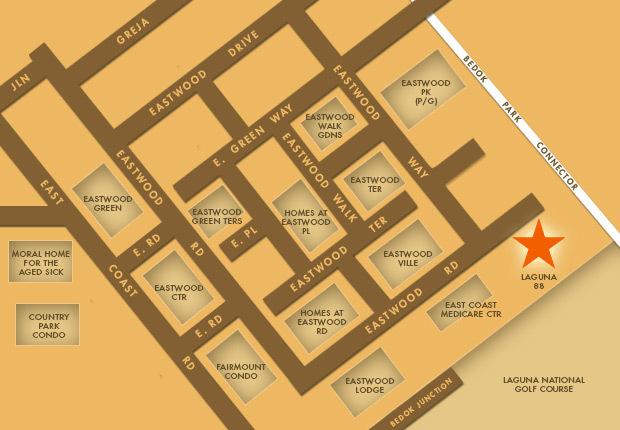 Laguna 88 comprises 88 exclusive 3-bedroom units of 60 different layouts, all with high ceilings and some with attic. Swimming pool, wading pool, tennis court, clubhouse with multi-purpose room, children’s playground, barbecue area and landscaped garden and 24-hour security.